So I was especially saddened to hear of his recent passing, shortly before his 88th birthday. He died surrounded by family, who described him as “brilliant, witty, wise and generous.” Having followed him and his work closely in my own career, I would agree with all that and more. At a time when news reports warn of the “technological divide” between the young and the old in this country, Brown’s specialty was using hard data to help us understand why and how technology is changing our lives. Ironically for a tech-head, he started out as an English major (he graduated with honors from UCLA), before going on to serve in the Navy. 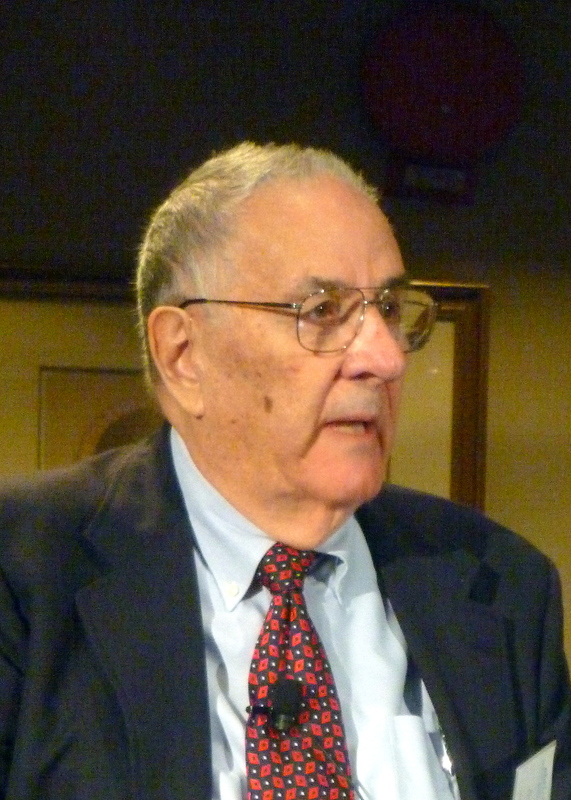 His big break on the national stage came when he was vice-chairman of the American Council of Life Insurers, where in 1969 he created ACLI’s Trend Analysis Program. This was the first, and considered among the best, “environmental scanning programs” that focused on long-range business planning and strategy. 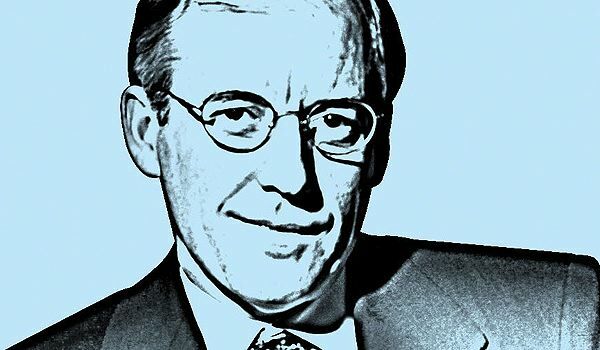 In 1977, he formed his own company, Weiner, Edrich, Brown, Inc., consultants in strategic planning and the management of change, where many of the biggest companies in the world would become clients. Not surprisingly, he served as board chairman of the World Future Society. The prolonged recession has masked what he called a “profound transformation of the economy” driven by automation, one that has to do with the very nature of work and jobs as the nation moves into the future. In 2012, he noted, approximately 85 percent of robots were purchased were for manufacturing purposes, and within the next few years 30 percent or more of robots will be for non-manufacturing, white-collar use. Part-time, contract, and temporary workers are becoming the norm worldwide. Brown noted that in France in 2012, 82　percent of the new jobs created were temporary, and in Germany, what are referred to as “mini jobs” (low-paid, short-term jobs) now comprise 20 percent of all jobs in that economy. Another aspect of this job trend: Of the 16-to-25-year-old cohort not currently in school, barely a third (36 percent) have full-time jobs, and a major reason for this is new technology (such as 3-D printing), he said. Professionally, I greatly admired his acute use of data to make highly informed analysis about the future. Personally, I deeply admired how someone almost in his 90s lived so much in the future. In Washington, there is naturally great attention given to how federal law (particularly tax law) and regulation affect business and employee benefits. But Arnold Brown’s focus was elsewhere: How the economy—and the underlying technology and skills that drive it—affect not only the business world, but society as a whole, faster and far more powerfully than even government policy. His keen mind and often accurate predictions will be missed. ¹ The complete report on the EBRI 35th anniversary policy forum, “Employee Benefits: Today, Tomorrow, and Yesterday,” is published in the July EBRI Issue Brief and is online here. I joined EBRI with a passion for the insights that quality research can provide, and a modest concern about the dangers that inaccurate, sloppy, and/or poorly constructed methodologies and the flawed conclusions and recommendations they support can wreak on policy decisions. While my tenure here has only served to increase my passion for the former, on (too) many occasions I have been struck not only by the breadth of assumptions made in employee benefit research, but just how difficult – though not impossible – it is for a non-researcher to discern those particulars. There are always assumptions in research; find out what they are. Garbage in, garbage out, after all (the harder you have to look, the more suspicious you should be). Just because research validates your sense of reality doesn’t make it “right.” But just because it invalidates your sense of reality doesn’t necessarily make it right, either. Take the conclusions of sponsored research with a grain of salt. Self-reported data can tell you what the individual thinks they have, but not necessarily what they actually have. Sample size matters. A lot. “Averages” (e.g., balances/income/savings) don’t generally tell you much. There’s a certain irony that those who propose massive changes in plan design, policy, or tax treatment, frequently assume no behavioral changes in response. When it comes to research findings, “directionally accurate” is an oxymoron. In assessing conclusions or recommendations, it’s important to know the difference between partisan, bipartisan and nonpartisan. In an employment-based benefits system, the ability to accurately gauge employee response to benefits change is dependent on the reaction of the employers who provide access to those benefits. One of the things that I’ve always loved about the field of employee benefits was that there was always something new to learn, and with each position along the way I have gained a new and fresh perspective. I’ll always treasure my time here as a member of the EBRI team, the opportunity I’ve had to contribute to this body of work – and I’m looking forward to continuing to draw on EBRI research for insights and analysis in my new position, as I have for most of my professional career. Here’s to not being fooled. Even with all that buildup, as the commercial closed viewers were reminded of the features of the product, and then asked, “Now, how much would you pay?” as several possible prices were suggested, then crossed off before being informed of the actual price (“plus shipping and handling”). And then, to close the deal, viewers were frequently told that they could have a SECOND version of the product for the same price (“just pay shipping and handling”). I’m happy to say that I considered buying more of those offerings than I actually bought (albeit somewhat embarrassed to admit to how many I HAVE purchased over the years). The lessons I learned early on were that the product never worked nearly as well at home as it did on television, that you almost never had a good use for the second “at no additional charge” copy, and that when you added up ALL the costs, you frequently found out a sizeable gap between what you thought you were paying, and the actual bill. Earlier this year, as part of its 2014 budget proposal, the Obama administration included a cap on tax-deferred retirement savings that would limit the amounts that could be accumulated in specified retirement accounts―which covers most of the ERISA-qualified plan universe (401(a), 401(k), 403(b), certain 457(b), as well as individual retirement accounts (IRAs), and―to the surprise of many―defined benefit pension plan accruals, as well. The proposal would limit the amount(s) accumulated in these accounts to that necessary to provide the maximum annuity permitted for a tax-qualified defined benefit plan under current law, currently an annual benefit of $205,000 payable in the form of a joint and 100 percent survivor benefit commencing at age 62. This, in turn, translates into a maximum permitted accumulation for an individual age 62 of approximately $3.4 million (a number that many of the initial media reports carried) at the interest rates prevailing when the proposal was released. And, certainly initially, most of the analysis of the proposal’s impact―including that from EBRI’s own unique and extensive databases―was focused on how many individuals had accumulated account balances in excess of that $3.4 million today. But, taking a longer view, and using our proprietary Retirement Security Projection Model,® EBRI’s simulation results for 401(k) participants (assuming no defined benefit accruals and no job turnover) show that more than 1 in 10 current 401(k) participants are likely to hit the proposed cap sometime prior to age 65―even at today’s historically low discount rates. If you assume discount rates closer to historical averages, the percentage likely to be affected increases substantially. 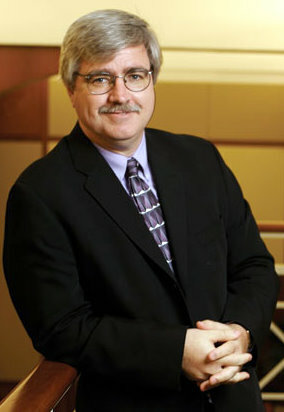 As part of the analysis published in the August 2013 Issue Brief,¹ EBRI Research Director Jack VanDerhei also looked at the potential impact of the proposed cap based on two stylized, final-average defined benefit plans and a stylized cash balance plan, along with a number of different discount rate assumptions. As an example, assuming coverage by a defined benefit plan providing 2 percent, three-year, final-average pay benefits, with a subsidized early retirement at 62, and assuming an 8 percent discount rate, nearly a third are projected to be affected by the proposed limit. 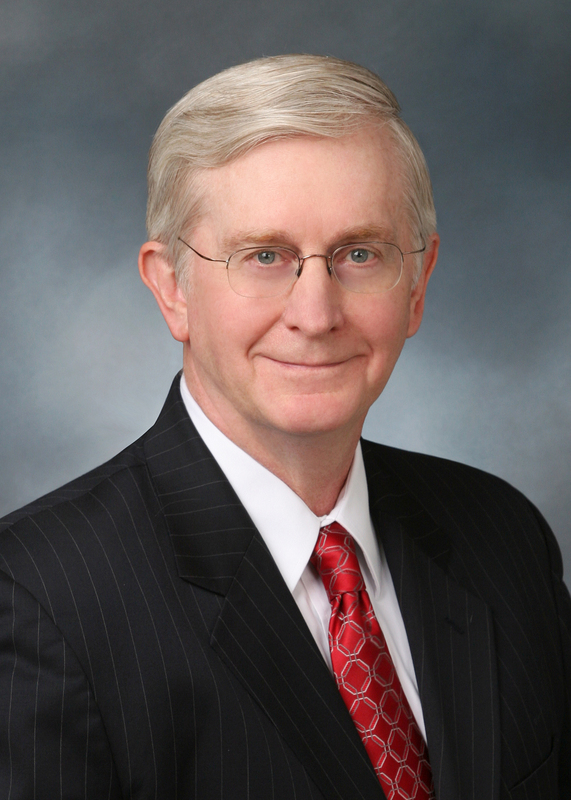 VanDerhei also looked at the potential response of plan sponsors, specifically smaller 401(k) plans (those with less than 100 participants), whose owners might reconsider the relative advantages of continuing the plans, particularly in situations where that owner of the firm believes that the relative cost/value of offering the plan is significantly altered such that the benefit to the owner is reduced. Since these owners (and their personal circumstances) can’t be gleaned directly from the data, some assumptions had to be made. But, depending on plan size, the EBRI analysis indicates this could involve as few as 18 percent of the small firms (at a 4 percent discount rate) or as many as 75 percent of the small firms (at an 8 percent discount rate). ¹ See “The Impact of a Retirement Savings Account Cap,” online here. I once spent a very uncomfortable period of time stuck in one of those carnival rides that, for brief periods of time, spins riders in a circle as the cab you are in also twirls. As uncomfortable as the ride was, the “stuck” part came while my cab was high in the air—and turned upside down. In no time at all, it was obvious that this extended “upside down” state wasn’t contemplated by those who designed the seating compartment (nor, apparently, had they considered that my compartment “mate” would find it exciting to rock our stuck cab during our brief “internment”). One of the comments you hear from time to time is that the tax incentives for 401(k)s are “upside down,” that they go primarily to those at higher income levels, those who perhaps don’t need the encouragement to save. And from a pure financial economics perspective, those who pay taxes at higher rates might reasonably be seen as receiving a greater benefit from the deferral of those taxes. Indeed, if those “upside-down incentives” were the only forces at work, one might reasonably expect to find that the higher the individual’s salary, the higher the overall account balance would be, as a multiple of salary. 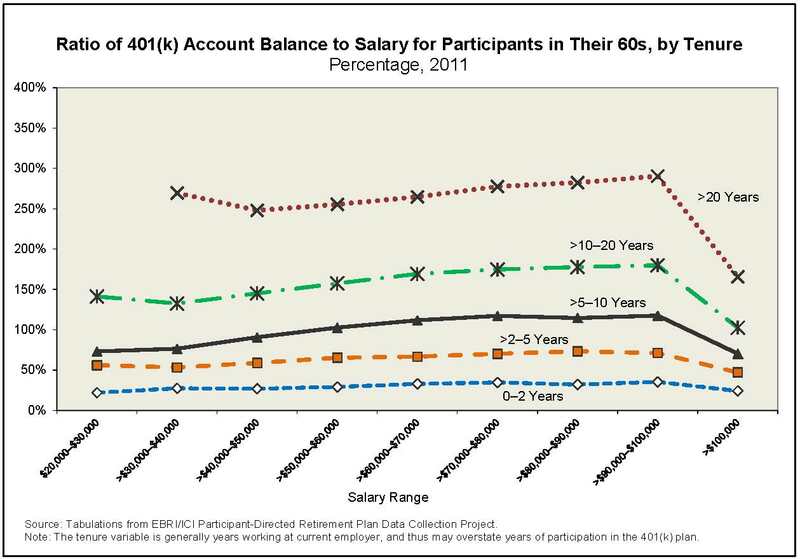 However, drawing on the actual administrative data from the massive EBRI/ICI 401(k) database, and specifically focusing on workers in their 60s (broken down by tenure and salary), those ratios hold relatively steady. In fact, those ratios are relatively flat for salaries between $30,000 and $100,000, before dropping substantially for those with salaries in excess of $100,000. As those who work with these programs know, what keeps these potential disparities in check is the series of limits and nondiscrimination test requirements: the boundaries established by Internal Revenue Code Secs. 402(g) and 415(c), combined with ADP and ACP nondiscrimination tests. Those plan constraints were, of course, specifically designed (and refined) over time to do just that—to maintain a certain parity between highly compensated and non-highly compensated workers in the benefits available from these programs. The data suggest they are having exactly that impact. And that’s why focusing only on the incentives—and not also on the limits—can leave you “stuck” with only part of the answer. Behavioral finance drives much of the discussion around retirement plan design innovations these days, for the very simple reason that it seems to help explain what might otherwise be viewed as irrational behaviors. For example, human beings are prone to something that behaviorists call “confirmation bias,” a tendency to favor information that confirms what we already believe. While doing so generally contributes to quicker assessments of information, there are some obvious shortcomings to that approach in terms of critically evaluating new information, particularly information that contradicts what we have already chosen (rightly or wrongly) to accept as reality. Last month EBRI published an analysis of a direct comparison of the likely benefits under specific types of 401(k) plans and defined benefit (DB) pension plans. (1) As anyone who has worked with employment-based retirement plans knows, individual participant outcomes can vary widely based on a complex combination of decisions by both those that sponsor the plans and the individual workers who are eligible to participate in them, as well as a host of external factors (notably the investment markets) that lie outside their control. The EBRI report took pains to not only select but to explain the key assumptions in our analysis. As it turns out, the analysis highlighted a number of circumstances in which traditional pensions (where offered) could produce a higher benefit at retirement—and some in which 401(k)s were superior in that regard. Did the report conclude that 401(k) benefits were better for almost every age and income cohort? ♦ No. While an analysis of just the median results for just the baseline assumptions might suggest this conclusion, the EBRI Issue Brief followed with seven different sensitivity analyses with different assumptions that produce different results. Moreover, the entire analysis was restricted to employees currently ages 25–29, because those individuals would have the opportunity for a full working career with those 401(k)s, as well as the modeled defined benefit results. Did the study make assumptions that are biased toward 401(k)s? ♦ Quite the contrary. The baseline used historical averages and ran many sensitivity analyses that were biased AWAY from 401(k)s to test how robust the results were. Why did you exclude automatic enrollment designs in 401(k) plans from the analysis? ♦ While a great many employers have adopted automatic enrollment with automatic escalation provisions in recent years, sufficient time has not yet passed since the establishment of most of these escalation features to know how long, and to what levels, participants will allow the escalation provisions to continue before they opt out. How does excluding those automatic enrollment plan designs from the analysis impact the results? ♦ Some have argued that automatic enrollment is actually bad for retirement savings because, in some cases, the AVERAGE rate of deferral—when computed only for those who make a contribution—initially decreases. (3) However—and as previous EBRI research has documented—the decline in average deferrals masks the reality that while some individuals initially save at lower rates (certainly in the absence of provisions to increase those initial rates automatically), many lower-income workers become savers under an automatic plan design who would not contribute anything had they been eligible for a voluntary-enrollment 401(k) plan instead. ♦ The June 2013 Issue Brief(4) specifically treats these individuals as making zero contributions and does NOT simply exclude them. This is the major reason why low-income employees do not do as well as high-income employees under THIS TYPE of 401(k) plan. EBRI has done previous analysis(5) showing the difference between automatic-enrollment and voluntary-enrollment types of 401(k) plans and specifically documents how much better automatic enrollment was for the retirement savings of lower-income cohorts. Aren’t workers today changing jobs more frequently than they did during the heyday of defined benefit pensions? ♦ Actually, no. While it was not an explicit part of this report, a recent EBRI Notes article points out that the data on employee tenure (the amount of time an individual has been with his or her current employer) show that so-called “career jobs” NEVER existed for most workers. Indeed, over the past nearly 30 years, the median tenure of all wage and salary workers age 20 or older has held steady, at approximately five years. While the new analysis focused on the outcomes for younger workers, including the implications of their tenure trends on DB accumulations, the historical turnover trends suggest that this would have been problematic for full DB accumulations among previous generations of workers as well. Were the rates-of-return scenarios “realistic” for 401(k) participants? ♦ The EBRI analysis presented baseline results under historical return assumptions that were adjusted for expenses by reducing the gross return by 78 basis points. Additionally, sensitivity analysis was also conducted in this study by reducing the returns by 200 basis points to determine the robustness of the findings. What about the fact that private-sector pensions are largely funded exclusively by employers, while much of that burden falls on individual workers in 401(k) plans? ♦ The report acknowledges this difference, but as the title of the Issue Brief specifically states, this is a comparative analysis of future benefits from private-sector voluntary enrollment plans vs. two stylized types of defined benefit plans—not the financial impact on the individual participants during the accumulation period, or how he/she might deploy assets not committed to retirement savings. However, as both the academic papers cited in the Issue Brief state, a comparison of ALL aspects of this difference would likely need to incorporate the assumption that more costly employer contributions to a plan (whether defined benefit or 401(k)) will be at least partially offset by lower wages over the long run, everything else equal. Is it reasonable to compare defined benefit and 401(k) plan benefits? ♦ Retirement income adequacy studies have been undertaken in several reports by other organizations with the implicit assumption that 401(k) plans are unable to generate the same amount of retirement income (regardless of the source of financing). One of the primary objectives of the June EBRI Issue Brief was to actually test whether these implicit assumptions were correct. So, which is “better”—a defined benefit plan or a 401(k)? Well, as was noted in the Issue Brief, there is no single answer because a multitude of factors affect the ultimate outcome: interest rates and investment returns; the level and length of time a worker participates in a retirement plan; an individual’s age, job tenure, and remaining length of time in the work force; and the purchase price of an annuity, among other things. The best answer depends on an incorporation of all the relevant factors, the tools to provide a thorough analysis, and an open mind with which to consider the results. (1) Jack VanDerhei, “Reality Checks: A Comparative Analysis of Future Benefits from Private-Sector, Voluntary-Enrollment 401(k) Plans vs. Stylized, Final-Average-Pay Defined Benefit and Cash Balance Plans,” online here. (2) For example, see “Claim that 401(k)s Beat Defined Benefit Plans Stirs Controversy,” online here. (4) “Reality Checks: A Comparative Analysis of Future Benefits from Private-Sector, Voluntary-Enrollment 401(k) Plans vs. Stylized, Final-Average-Pay Defined Benefit and Cash Balance Plans,” online here. (5) See Jack VanDerhei and Craig Copeland, “The Impact of PPA on Retirement Savings for 401(k) Participants.” Washington, DC: EBRI Issue Brief, no. 318, June 2008, online here. As the nation continues to grapple with fiscal challenges, the subject of so-called “tax expenditures,” (the amount of tax breaks accorded various programs) has attracted a great deal of attention. Critics of the current tax preferences structure for work place retirement plans have questioned the efficacy of those preferences relative to the savings produced. In that vein, a recent study¹ examined the experience of the Danish pension system to consider the relative impact of government retirement-savings tax preferences on savings behaviors, as well as the impacts on savings patterns of a mandate that required all Danish citizens to contribute 1 percent of their earnings to a retirement savings account from 1998 until 2003. In explaining their rationale for drawing on the Danish pension experience, the study’s authors described that nation’s pension system as “broadly similar in structure” to that in the United States and other developed countries, in that it has individual accounts, employer-provided pensions, and a government-supported defined benefit (DB) retirement plan. However, while the components are similar, as a recent EBRI Notes article² points out, the Danish retirement system functions differently in several critical aspects. Not surprisingly, the research on Danish workers noted a “sharp increase” in savings rates in 1998 (when the mandate took hold), and sharp reductions in total savings in 2004 (when the mandate lapsed). They also considered worker savings responses when, in 1999, the Danish government reduced the subsidy for contributing to capital pension accounts for individuals in the top income tax bracket, noting that while contributions fell sharply for individuals in the top bracket, they “remained virtually unchanged for individuals just below that bracket.” In other words, the individuals directly affected by changes in the incentives reacted, while those for whom the tax subsidy was unchanged did not. They also found that the reduction in incentives also had a larger effect on Danish workers who make frequent changes to their pension contributions. In essence, Danish savers who were actively making decisions about their pension contributions were more likely to respond to the change in incentives than other individuals. This group the study authors classified as “active savers,” who, as it turns out, also have significantly higher wealth/income ratios and were more likely to be older than other Danish workers in the study. Combining all these results, the authors arrive at two top-line conclusions about the saving behavior of Danish workers. First, that only 15 percent of those individuals are “active” savers, that only those active savers respond to tax incentive changes, and then largely only by reallocating savings between their tax-deferred pension accounts and taxable savings accounts. Second, for these active savers, a $1 of tax expenditure by the government on subsidies for retirement savings raises total savings by only about 1 cent, on average. Not surprisingly, these conclusions have drawn the attention of those who question the efficacy of the current retirement savings tax incentives in the U.S. But is this Danish experience relevant to the United States? Ultimately, the study of Danish worker savings behaviors was just that, and—as a study of individual savings behaviors in that environment—it has merit. It did not, however, consider the reaction of employers to these kind of changes. Those who would draw lessons from that experience should consider that the “success” of defined contribution work place retirement plans in the United States currently depends on the behavior of TWO parties: workers who voluntarily elect to defer compensation, and employers that choose to sponsor and, in many cases, contribute to them. ¹ See Chetty, Raj, John N. Friedman, Soren Leth-Petersen, Torben Heien Nielsen, and Tore Olsen, “Active vs. Passive Decisions and Crowd-Out in Retirement Savings Accounts: Evidence from Denmark,” NBER Working Paper # 18565, November 2012, online here. ³ A survey conducted on behalf of The Principal Financial Group in 2011 determined that if workers’ ability to deduct any amount of the 401(k) contribution from taxable income was eliminated, 65 percent of the plan sponsor respondents would have less desire to continue offering their 401(k) plan. A separate survey of plan sponsors by AllianceBernstein that same year found that small plan sponsors were more likely to respond negatively to a proposed change in the deductibility of contributions by employees than larger employers—the impact of the loss of access to plans, and to the matching contributions often associated with those plans, was documented in previous EBRI research. See “Modifying the Federal Tax Treatment of 401(k) Plan Contributions: Projected Impact on Participant Account Balances,” online here.